The NHBC has come under fire for allegedly using gagging orders to stop homeowners speaking out about poor build quality in new homes; an allegation the warranty provider has denied. A report in the Guardian, yesterday, accused the NHBC of seeking to silence homeowners making successful compensation claims through its Buildmark warranty insurance scheme. 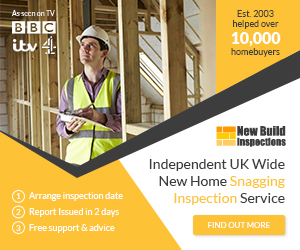 The newspaper said it “has been made aware of NHBC, the regulator of new homes, issuing gagging orders or so-called non-disclosure agreements that not only restrict the homeowner from contacting the media about the problems with their property but also talking to neighbours in the development”. The controversy is perhaps a symptom of an industry under stress from a well-documented skills crisis, suggests the reaction of the author of the government-commissioned Farmer Review into the construction industry. “The news of gagging orders being used to restrict new home owners reporting poor build quality is perhaps reflective of some of the structural flaws and vested interests which prevail in the UK residential construction sector,” said Mark Farmer, who is chief executive consultancy Cast. “The power of social media is, however, now making poor quality construction an increasingly public and unacceptable issue. Lack of capacity, diminishing levels of skills, training, workmanship and poor design quality all amount to far too many homes that are simply not up to scratch. A spokesperson for the NHBC said: “Buildmark is an insurance product. Claims made are settled either by NHBC arranging for repairs to be carried out, or paying the homeowner the cost of doing so. When we make a payment, we ask the homeowner to sign a letter to acknowledge that the payment settles their claim. These letters do not include confidentially or non-disclosure clauses.